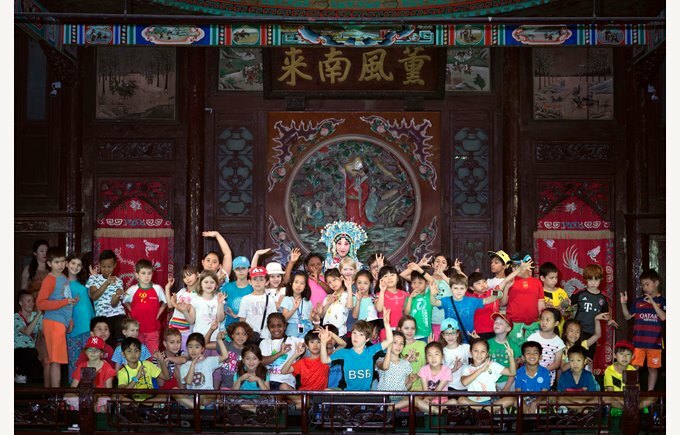 Last week, the moment all of the children had been waiting for finally arrived…it was time for their residential to Tianjin! For many, it was their first time away from their homes and their parents, so there were a lot of anxious children arriving in the morning with their suitcases in tow. As anticipated, these fears quickly dissolved as soon as they saw their fellow travelers and was replaced with excitement and a lot of energy for 6.30am! The 3 days were packed full of great activities which allowed the children to experience the highlights of the city as well as develop team building skills and get to know the year group even better. A major highlight for all of the children was of course the chance to demonstrate their superior haggling skills in the Ancient Culture Street to trying buy the items on their scavenger list for the cheapest possible price. It was very impressive to see quite how persuasive our year 3 children can be! The adventure continued with an exploration of the Binhai Aircraft Carrier, a late evening walk in the Water Park, a tour of the 5 Allies on horse drawn carriages and a private operatic performance at the Cantonese guild hall. All in all, it was a fantastic 3 days and the children came home feeling exhausted, excited and proud of their independence and achievements.